NEW YORK (CNNMoney) - Hyundai will unveil a new all-electric SUV that could have the power and price to compete against the Tesla Model 3 and Chevrolet Bolt EV. The Kona Electric will make its debut at the Geneva Motor Show in Switzerland next week. 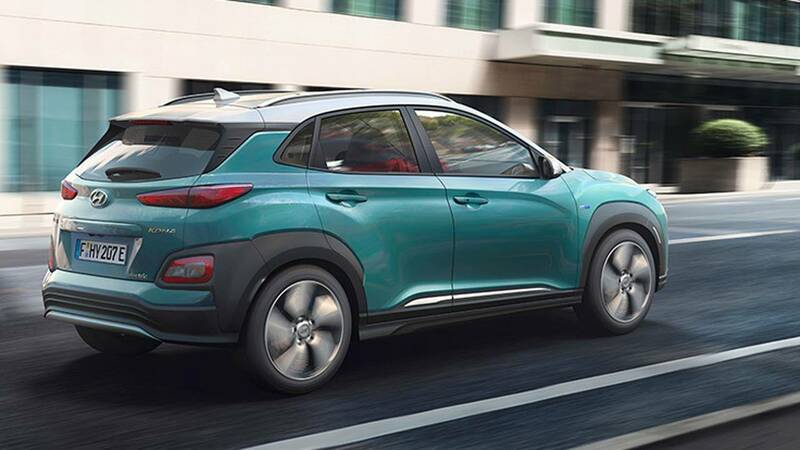 It's based on Hyundai's small gasoline-powered Kona SUV. The SUV will have paddles on the steering wheel that will adjust how much power the batteries will draw as the SUV slows and stops. Electric cars use "regenerative braking," drawing in energy to slightly recharge the batteries as the driver lifts off the accelerator and presses the brakes. Increasing regenerative braking makes the car slow more quickly. Although Hyundai is introducing the Kona Electric SUV in Europe first, it is expected to be available in markets outside Europe. Hyundai hasn't made any announcements regarding pricing, though, for Europe or elsewhere. Prices for the gasoline-powered Kona start at about $21,000 in the United States. The electric version is expected to cost more. It will compete against electric cars like the Chevrolet Bolt EV and, in Europe, the Opel Amera-e. General Motors markets those electric hatchbacks as compact crossovers.